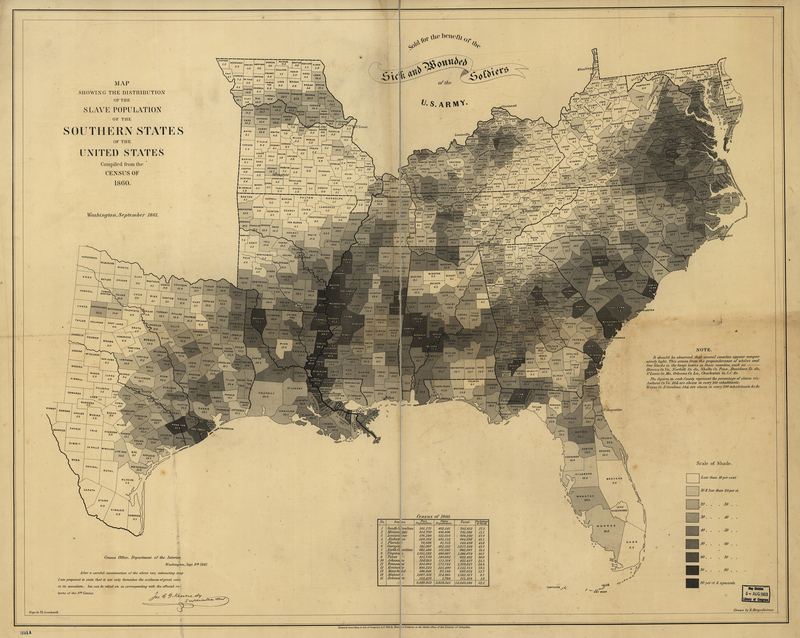 Map showing the distribution of the slave population of the southern states of the United States. Compiled from the census of 1860. Map indicates by gray patterns, the percentage of slaves in each county. Virginia, Texas, Arkansas, Tennessee, Kentucky, Maryland, Missouri, Delaware, by number and by percentage. Drawn by E. Hergesheimer. Engr. by Th. Leonhardt. Published: Washington Henry S. Graham 1861.